A cheapie... that is very loud and not energy efficient. With 100 watts and a tiny coverage, this purifier is not energy efficient. The HEPA filter replacement for this product is so overpriced that the difference between the filter and the complete unit is only about $5-$10. 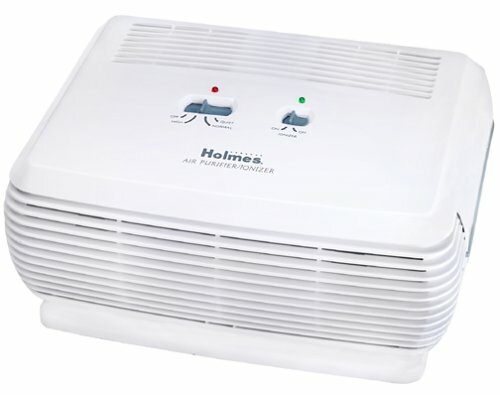 Worse, Holmes stated that the HEPA filter must be replaced on 3-6 months of continued use. That's a pretty short life. Quiet? nah. In fact it ties on loudness (on mid setting) with my Hamilton Beach TrueAir 04161, just slightly quieter on high setting ,and actually louder in lowest setting. The sound produced is also a rough motor type sound, which is not so pleasant to hear. Its CADR (Clean Air Delivery Rate, a measurement standard for air purifiers -- www.cadr.org) is only a measly 55-70. However, it does its job removing particles from the air quite well on high setting.